1. 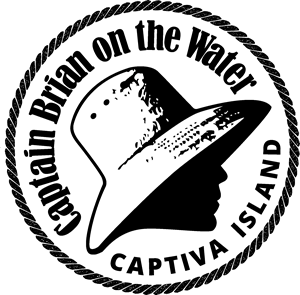 Where do Capt Brian’s trips depart from? All trips depart from McCarthy’s Marina on Captiva. The address is 11401 Andy Rosse Lane, Captiva Island, FL 33924. Turn right at the stop sign near the Bubble Room. 2. Is there a cost to park at the marina? YES. $5 per car to be paid to McCarthy’s Marina office. 3. How many hours does a trip go for? Minimum of 4 hours to a maximum of 8 hours. 4. Will you do sunrise or sunset trips? 5. Is low tide the best time to go shelling? Depends. Shelling conditions are dependent on many variables including winds, tides, storms and the time of the year. I will do his best to take you to locations where shells may be. 6. What is the cost of a trip? $450 for a 4 hr trip plus 6% sales tax payable inside the McCarthy’s Marina office by cash or credit card. The cost is the same whether it’s 1 person or 6. 7. What type of payment do you accept? 8. Does Capt Brian require a deposit? 9. Do you allow pets on your trips? 10. Can we decide to stay out longer on a trip if we decide we want more time? Typically no, usually another trip is scheduled immediately following and I will not be able to extend your time on the water. If we are able to extend the trip, the cost is generally $100 for each additional hour. 11. Is there shade on the boat? 12. Will you partner with two different groups of people to share the costs? NO. I have tried this and it doesn’t work well. It’s difficult to give a private customized trip to two different groups of people with each having a different goal in mind for the trip. 13. How many passengers can Capt Brian take on his boat? Maximum of 6 passengers. This is a Coast Guard requirement and there are no exceptions. If you have more than 6 people in your group, please call me to discuss the possibility of partnering with another Captain to charter an additional boat. 14. Is there a bathroom on board the boat? 15. Can we bring food and drinks? 16. Is there a cooler on the boat? YES. I will have a large cooler loaded with ice to accommodate your food and drinks. YES. I have a 100 ton near coastal U.S. Coast Guard Captain’s License and spend an average of 200 days on the water each year. I am a certified Florida Master Naturalist, certified with Dolphin Smart and CPR / First Aid trained.